Just wondering if anyone of you know this place which is famous for its old clunky wireless steamboat. Ooppss, I mean they use charcoal instead of electric hotpan. My family especially luv to frequent this place for its steamboat and crabs while my fave has always been their grilled chicken wings and grilled sotong. Seriously, very good stuff! 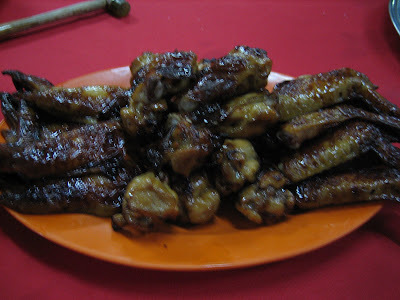 Have not tried Jalan Alor's famous chicken wings so Stadium Negara's chicken wings remain the best I have tasted so far. Here comes the wireless steamboat! Chuck everything into the pot first. Wee...people use hot charcoals one ah, dun play play. 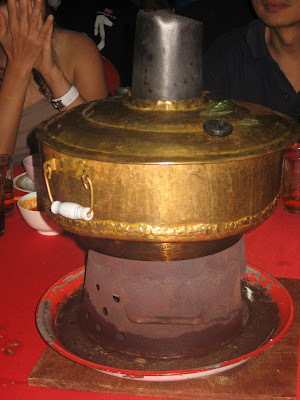 Taadaa...steaming hot stuff, help yourself with the food. Omg, my fave grilled sotong! 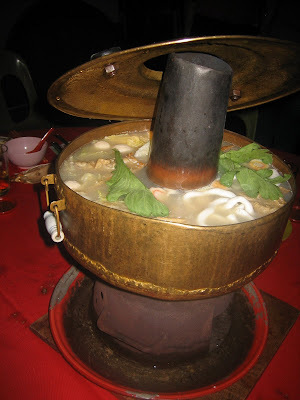 I swear that you have got to try this if you luv seafood. 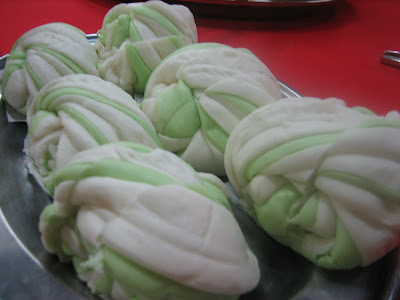 Yar, look so unappetising hor? But never judge the food by its look! 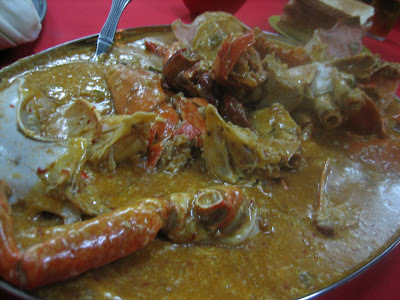 Our must-have everytime we dine here--Crabs in sweet and sour sauce. But do take note that the food are pretty pricey here. 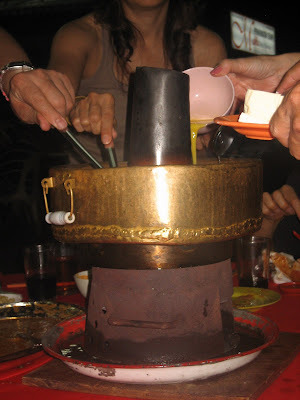 That nite the bill came up to RM800 for 15 of us. @_@"" so expensive! LOCATION: hmm...I'm so bad in direction. All I know is that this place is located @ Jalan Yap Kwan Seng, near Munakata Japanese restaurant which meiyen had reviewed earlier on. 10 mins from the KLCC LRT station. I can ask Char siew bao to revert to you on the direction if you wanna give this place a try. fwah!!! RM800!! They give golden crab izzit? 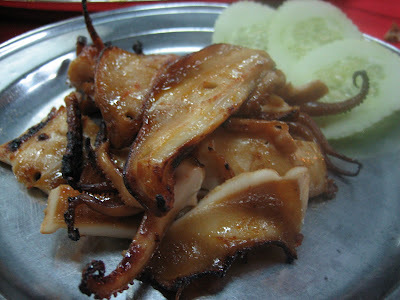 : P lolz...sotong bakar? ooo I luv sotong....U use the charcoal in the wireless steamboat to bakar wan izzit? Gulp! That is pricey but it does look interesting. RM800 for how many pax? eh kena potong d la..thats way too expensive..unless you stuffed abalone and sharkfin in your steamboat..that still..
O_o rm 800 for steamboat?!!!!!! my god...... that's really expensive! oh by da way, heard from my ex-classmate this place is famous.. wanted to have a gathering here last year but was canceled due to flash floods! jian: no lar, but gotta admit that the crabs are of XL size. Yummy somemore, so we paid RM300++ for the crabs. that sotong if use charcoal to bakar sure become 'sotong overed bakar' lar. 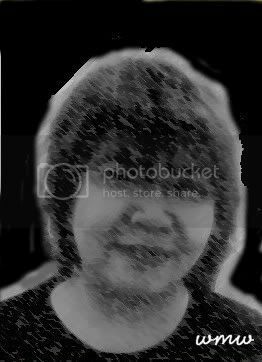 wmw: haha...ya hor. Duno y sooo expensive. Charcoals are cheaper than electricity wee. 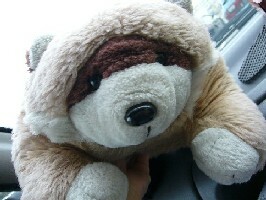 boo_licious: Rm800 for 15. Crabs oledi cost around RM300++, XL size one. Maybe abit overpriced. jackson: haha...can spend RM800 in MAX ah? then u must be stuffing yourself to the max.The crabs are really good! fat and juicy. joe:We know the rest owner very well oledi la. My aunt even brought her japanese clients there. Oishi leh. Expensive because of the big fat crabs. meiyen:Good place for gathering! Just take note of the expensive items. That place is abit muddy and secluded tho. Eh they are on Jalan Yap Kwan Seng now? Used to be in Stadium Negara woh, been there once yeeaaaaars back. Really? 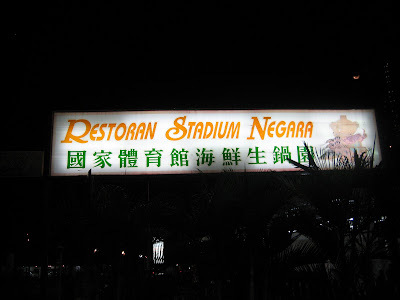 no wonder they are named as stadium negara la. the steamboat is so very old school! looked so 'used' already..hehe..but woah, aint RM800 a bit steep for 15 pax? Tankiasu is right. They were doing super good business when located outside the stadium. When they moved a few years back, I've only been once and found d quality deteriorated. So, never been there again. But since u say so good, I'll try again. But i have heard from a lot of ppl that the quality has deteriorated, if that is the case, can't imagine when it was d old days... wuz it really dat gud? Ohhh that place! Ok I know where already. On the right hand side after I pass the Australian embassy right? I always see tons of people there but have not tried. And RM800 is ... burns my whole pants! not only the pocket. joe: LoL...but the crabs are really yummy lar, drooled when i look at that pix. tummythoz:but I only luv their crabs, grilled chicken wings and sotong. Other than that are so-so only for that kind of pricing. jian:Rm20 very cheap leh! Faster go eat ;p I had that Singaporean Sri Lankan crabs too! Sooo big ! jason: haha...dun pengsan first! The so called 'golden' crabs are worth the price. Veli veli nice! But do try their chicken wings and grilled sotong, affordable and yummy i assure u! RM50++ per person, okay larr.... Giant crab... sotong sommore... Oh my! jian: haha...true oso. But my parents say charcoal-ed food taste better wor. This place lives up to its legendary status, thanks to this blog entry I went to check it out last night!! 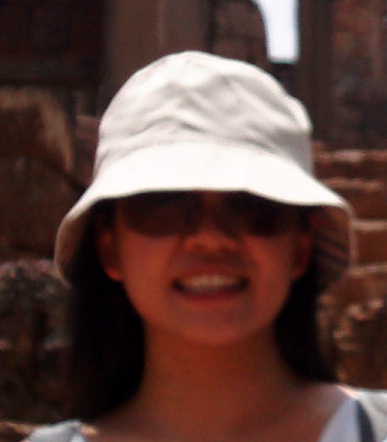 Hiya, could you advise me how to go to the restaurant after going out from KLCC?